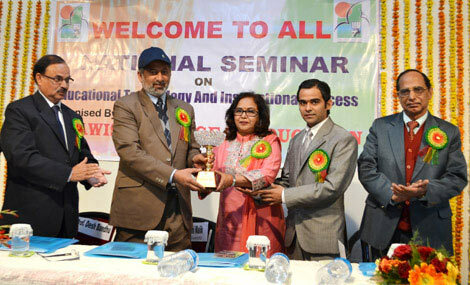 The college has a top class Infrastructure which provides a very healthy learning environment to all its students. College provides education to the students in its own building. which is hosted in a three storied huge building spreading over 14 kanals of land in Channi Rama. It is a well designed land having architectural taste. A beautiful lawn with lush green grass and variety of flowers adds to the beauty of the college. College authorities are taking special care of it because a student has to spent the best of his day time in the college. 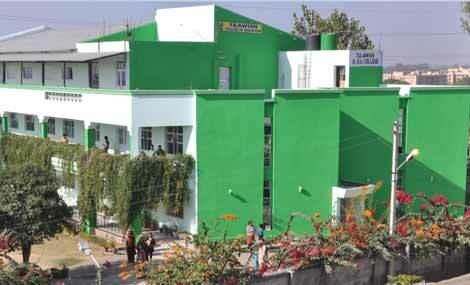 Girls hostel and canteen facilities caters to the needs of the students on regular basis. All facilities of recreation are there in the college at the disposal of the students so that a students can always feel at home in the college campus while staying away from their home. 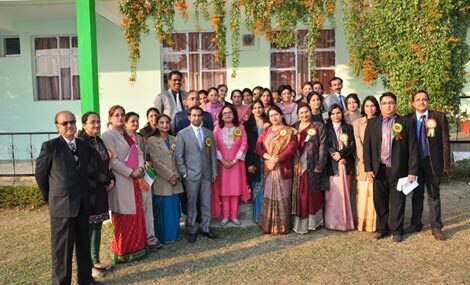 College has on its roll highly qualified and motivated team of teachers who were selected after careful screening and interviews by a panel of experts from the University of Jammu. They are also regularly motivated to update their knowledge and teaching methodology through various in service training programmes and seminars. “Books are a treasured wealth of the world and fit inheritance of generations and nations” Thoream. On order to inculcate reading habits quest fro knowledge and enquiring mind, the college provides well stocked library with encyclopedias, reference books, number of journals and magazines. This treasure is housed in airy’ spacious and well lit halls conducive to self study and mental stimulation. It is enriching everyday with the addition of more books of general knowledge and journals. 1. To provide basic computer skills to the students.